Join the conversation and connect with other hosts who are creating a world where anyone can belong. Discover new ways to take your hosting to the next level. Discuss local issues, and find clubs and meetups near you. Get advice from other hosts and offer your expertise. How did you attract your first booking? Where are guest names on ICal calendar? First time users. 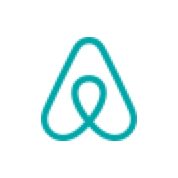 Lots' and lot's and lot's of first time user's on Airbnb. Decision time - Coffee or tea? Who would you love to host? From preparing your space to welcoming guests, these guides and videos are packed with tips to help improve your hospitality. Let us know how Airbnb can make hosting easier. Share your ideas! Dig deeper into different hosting topics each month, in this webinar series curated by Airbnb.